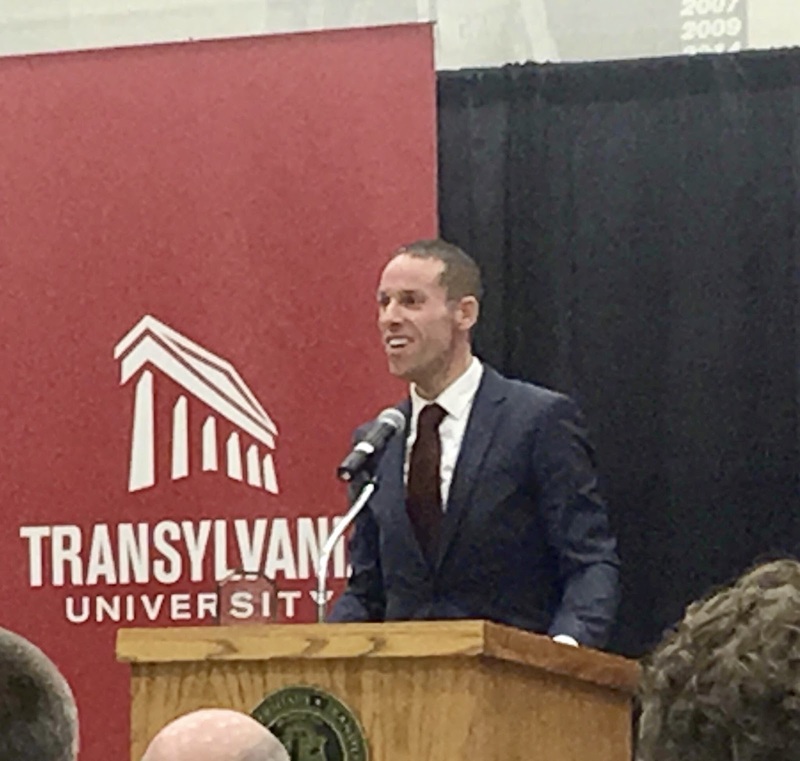 Recently in Lexington KY, the Transylvania University Athletics Department inducted five stellar athletes into its 2017 Pioneer Hall of Fame class. 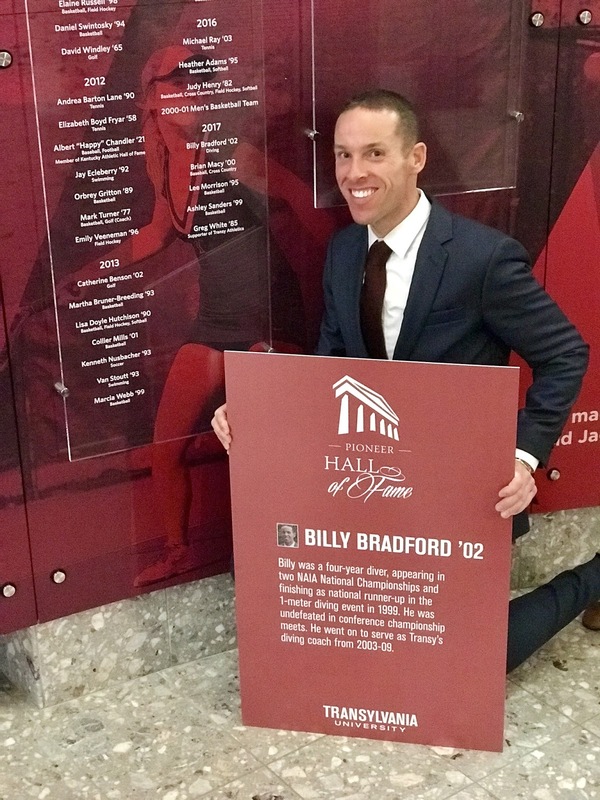 Among them was Bill Bradford, who attended the school with a diving scholarship and competed as a diver for its swimming and diving team for four seasons. He qualified for two NAIA National Championships (1999, 2001), finishing in 1999 as the national runner-up in the 1-meter diving event. Bill went undefeated in conference championship meets. Bill Bradford accepting his award at the Hall of Fame ceremony. Bill with the Hall of Fame induction plaque he received from his alma mater, Transylvania University. Bill is especially enjoying these activities because he now can. A few years ago he began a personal odyssey ending with the third significant impact to his life: a 245 pound weight loss. 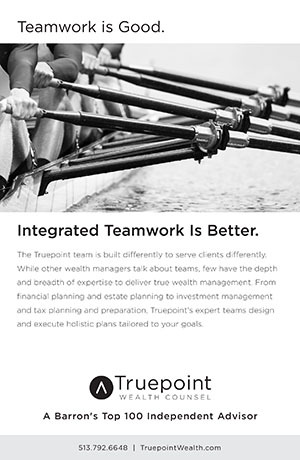 “It’s been life changing. People look at my before and after photos and don’t believe it’s the same person.” In recognition of his accomplishment, Bill was selected this past summer to be highlighted as a member by Orangetheory Fitness. Between his new job, teaching and an active personal life, one would think Bill Bradford was busy enough. But one additional major activity helps fill his days. “I’m working on my doctorate at NKU. I’ve completed all my course work and now am in the dissertation phase.” His topic is The Impact of Classroom Environment Effect on Student Learning. It’s really no surprise Bill’s schedule is bustling - but rewarding. Even while a diver at Transylvania he enjoyed not just the sport but the opportunities participation afforded him. 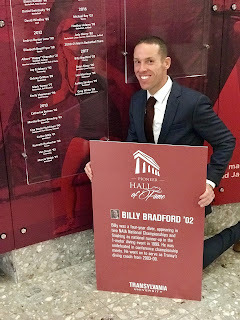 With the richness of his experiences, his humble appreciation for what he has worked to achieve and the commitment he shows in all his endeavors, Bill Bradford is making an impact on the many lives he touches.